Synopsis: (from School Library Journal) George Hogglesberry, a new second grader who has just come from the planet Frollop II, gets directions and everything else all mixed up. Things in his new school and home are so different from his former life that he worries about not being accepted, although the class rallies to help him. He has to be reminded not to walk on the ceiling, and when he floats upside down he loses his shoes. Worst of all, no one ever knows where he is going to turn up, not even George. Finally, his teacher helps him with a part in the school play and he charms everyone. Youngsters entering a new school and lacking self-confidence might find George’s bizarre situation humorous and reassuring. Resources: The book includes a “Pin the Nose on George” game. I did not find other resources, so here are a few activities that I think would go well with this book. Writing: What do you think George’s school was like at his old home, Frollop II? Writing and Drawing: Without meaning to, George turned himself into a tomato, an overhead light, and the clock in the principal’s office. It seems George would turn into lots of things without meaning to. If you could turn into anything in your classroom—what would it be, and why? After writing about this, draw a picture of you as the object you chose. Writing: If George showed up at your school, what is the first question you would ask him? Writing: On the title page, there is a picture of the Hogglesberry’s spacecraft with four cardboard boxes on top. Make a list of items you think they brought with them from Frollop II. By the way, since we don’t know much about Frollop II, you can make up your own words—but be ready to explain what they mean. Discussion: All of us are different and that’s what makes us interesting and special. Name something interesting/special about yourself. Drawing: Draw, design and name your own planet complete with a spacecraft or spaceship or both. Why I Like This Book: This is such a unique, creative book about feeling different and fitting in. I think some kids do feel like they are from a different planet, but just like George, they eventually find a way to shine. I love the the quirkiness. The Hogglesberry’s house has shoes planted along the driveway. The shrubs are trimmed in a shape reminiscent of a spacecraft. Mrs. Hogglesberry serves green beans with marshmallows stuck on the end as she says, “Drink up!” Not only is it delightful in it’s own alien way, but I believe this book is great for opening up a discussion about accepting each other’s differences. The humor will ease the tension associated with this type of discussion. It’s really cute, Susanna. Hope you get a chance to read it. Penny, you always come up with the best recommendations. I love the theme of fitting in told with an alien twist. Thanks, Kirsten. It is a really cute book. And kids love aliens! Hi, Penny. Tricycle Press has always published such unique books. This one certainly seems to be one of them. Love your enthusiasm about it, too. I’ve been having fun reading all the PPBF posts today and checking to see if our library has them. I’ll go check on this one next! I agree! I really have enjoyed the books they have published. I am still catching up on all the PPBF posts! I got behind a couple of weeks and have been out of town and wow! it’s hard to get to everything! Thanks, Beth! I like writing activities, but it takes a while! It’s great to find them on the Internet. If I ever get a book published, though, you can bet I will be writing up activities for classrooms. I know teachers have so much on their plates and having activities ready to go with a book is such a plus. This book looks really funny! 😀 I like how all the other kids rallied to help him! It is really funny and has a good message. 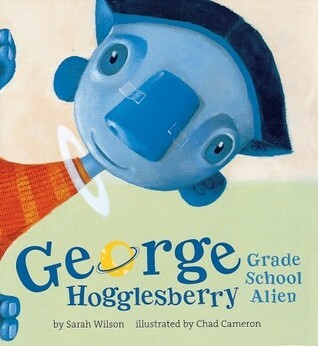 I think all kids will wish George Hogglesberry went to their school :•) He’d be a fun buddy! What a wacky idea, I can think of lots of kids who would just love this story. Thank you, Penny, and for your great activity list! It is so creative. I just loved the quirkiness! Like Julie I want a new nose…lol. This is adorable and Pat said it, when she said, you pick some of the best! I am trying to imagine what the pitch was like for this story and also what the agent/editor thought of first reading this…lol. ‘Drink Up… marshmellows on beans’… I bet a few raised eyebrows..lol. I’ve always wanted a different nose. The Hogglesberrys just taped theirs on, so I guess they could choose any shape or size they wanted :•) I imagine the editor spotted something fun & different! I’d like to come up with a story like that! I would like a (new) nose! Me too!!! But then, we’d probably want a different one after that! Penny, You pick some of the best books. I LOVE this book and theme. Kids will have a ball with it. What a way to encourage imagination! Love you activities too. Very clever. Great choice! Thanks, Pat! I hope that all my teaching experiences help me relate to books kids will enjoy! Oh my word, that is adorable, those names are awesome! I know! Makes you want to read it just to see who lives up to the names! What a fun-sounding book! 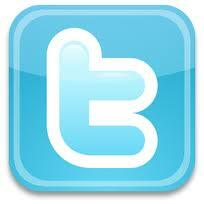 Your activities are wonderful. Thanks, Penny! Thanks for stopping by, Beth.Glad you like the activities.